According to a folk story, Ghazni was once the most prosperous of cities but the gins destroyed it one night. 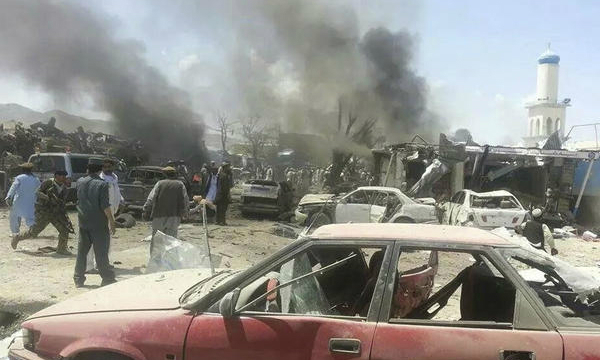 On Aug 4 the Taleban detonated trucks piled with explosives to attack Ghazni Police and the Afghan National Directorate of Security (Intelligence). The suicide bombings killed and maimed more than 300 people, and destroyed 52 government buildings, museum and library in the 2013 Asian capital of Islamic culture. Mohammad Arif Rahmani, member of parliament (MP) from Ghazni, called it the biggest such attack by the Taleban. 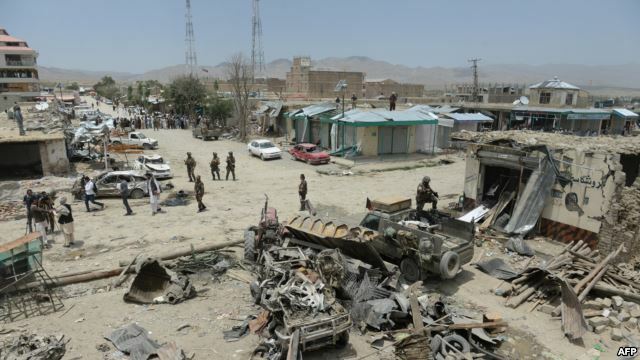 Nineteen Taleban, disguised in military fatigues, entered the Rapid Action Unit 5 of the Ghazni Police at 5.30am while 14 other men, armed to the teeth, broke into the compound of the Afghan National Directorate of Security (Intelligence). The fighting that followed the truck bombings lasted 45 minutes. None of the attackers were taken alive. Security forces were among the dead and injured. Officials said the public Ghazni Hospital received the bodies of 11 security personnel, and the private Nesar Hospital four. The latter was the only private hospital to offer free treatment to the injured from that day’s heinous incident. 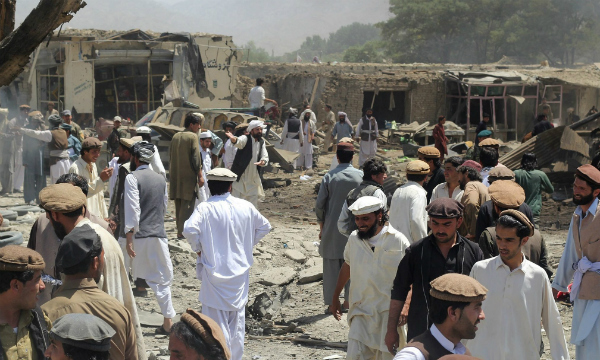 The residents of Ghazni still don’t know how many people lost their lives but it is said that since the sixth Hejira (the sixth year after the start of the Islamic calendar in 615) the city of Ghazni has not witnessed such devastation. The provincial government has estimated a loss of between 80 and 100 million Afs (1.3 to 1.7 million USD). Governor Musa Khan Akbarzada said the government has constituted a committee of 30 engineers to study the damage. The government has promised to rebuild the government buildings, and 15 million Afs (261,710 USD) for the reconstruction of the destroyed markets, shops and private homes. Rahmani, the MP from Ghazni, said the explosion shattered windows 3-km from the scene of the blast. According to his estimate, the rehabilitation and repair will cost at least 50 million USD. 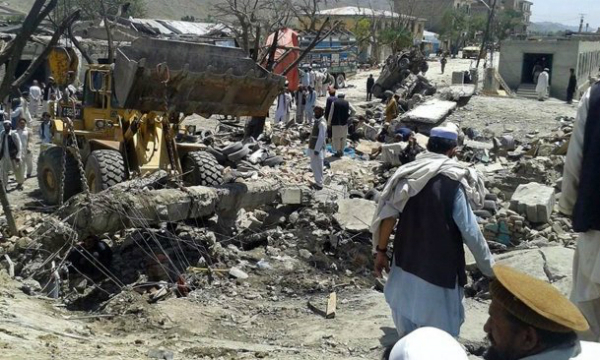 Abdul Mateen Qalandari, president of the Ghazni Chamber of Commerce & Industries, said six markets and 50-100 shops “have been demolished entirely”. Also now in ruins is the Ghazni Museum which includes the Museums of Islamic and Pre-Islamic Art and National Museum of Historical Monuments, and a library named after Albironi, the great medieval scholar who produced a monumental commentary on Indian philosophy and culture that was commissioned by his patron, Mahmud of Ghazni (971-1030). Ahmad Zekria Nasrati, the head of Ghazni Museum, said he had borrowed 126 antiquities from the Ministry of Culture and Information in Kabul for display at the festival of Islamic Culture last year. The blast just 10 metres from the museum reduced a third of them to rubble. “Some are broken and the pieces have been put in a safe place,” Nasrati said. Writer, poet and head of a journalists association in Ghazni, Asadullah Jalalzai, said the damage to the Albironi Library was “irreparable”. 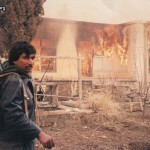 The Taleban destroyed 10 years of painstaking work by cultural heritage workers. “There were rare handwritten books,” he said. About four in 5 Americans approve of President Obama's plan to bring troops home from Afghanistan and more than half would approve an even bigger withdrawal, a new CBS News/New York Times Poll finds.